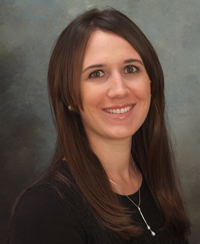 Dr. Krystal Tellier, N.M.D, C.P.M. While receiving her training at SCNM, Dr. Tellier worked with physicians trained in each Naturopathic modality. She discovered her desire was in being able to treat the entire family, but realized she wanted to continue her education in pediatrics and women’s medicine. Upon completion of her education at SCNM, Dr. Tellier continued her training in the private office of Dr. Farra Swan, ND, CPM. While working with Dr. Swan, Dr. Tellier found that her true passion was with natural childbirth in the home setting. Dr. Tellier also completed a one month internship at Casa de Nacimiento (CASA), a birthing center, located in El Paso, Texas. At CASA she was immerged into midwifery care which included prenatal visits, labor and delivery, post-partum care and pediatric care. Dr. Tellier sat for her midwifery certification in 2010. Dr. Tellier utilizes botanical medicines, homeopathy, physical manipulation, acupuncture, IV therapy, hydrotherapy, nutritional supplements, and bio-identical hormones, to help address the needs of her patients. To evaluate the individual needs of her patients she may order specialty labs, which include hormone level assessments, food allergy testing, environmental toxin levels, advanced cholesterol and cardiac disease profiles, and body nutrient stores. Dr. Tellier has extensive training in women’s health, gastrointestinal disorders, endocrine dysfunction, detoxification methods, pediatric wellness and lifestyle counseling. Dr. Tellier treats the whole person with therapies that are the least invasive and most cost effective. She looks for the cause of each individual person’s disease, and uses therapies that are curative, rather than just symptomatic relief. She believes that one’s health must address the mind, body and spirit. She promotes balance and moderation within her patients, and hopes that with proper healing, her patients may return to enjoying their lives. Most of all, Dr. Tellier expresses the importance of teaching our children healthy eating and lifestyle habits so that they may avoid the epidemic of obesity, diabetes, heart disease, cancer, and drug addictions. When Dr. Tellier is away from the office, she enjoys spending time with her husband and two children. She loves the outdoors and any chance that she gets you will find her hiking, camping, running, swimming or traveling. Dr. Emy attended Southwest College of Naturopathic Medicine in Tempe, Arizona where she gained her Naturopathic Doctor degree. Her primary focus is on family medicine, pain management, hormone therapy and endocrinology, and gastrointestinal conditions. Her expertise lies in modalities including acupuncture, botanical medicine, cupping, homeopathy, IV and injection nutrient therapy, hydrotherapy, nutrition and lifestyle management to best serve in treating her patients. Dr. Cummins’ passion derives from her own struggles with Lupus, a chronic autoimmune disease, and conventional medicine - which offered her no relief. After drastically changing her lifestyle and reducing stress, she was able to overcome a thirteen-year battle with symptoms. Through naturopathic medicine she has since enjoyed ten years of complete remission. It was through her own journey that she began to recognize the importance of natural medicine in helping others overcome disease and find a lifestyle that would guide them towards wellness. Being an ND allows her to extend that knowledge and care to others. Dr Emy aims to find the root cause of the condition, and remove obstacles that intend to impede wellness. She believes in using restorative modalities rather than symptom-based care to treat. Together with the patient in the decision-making process, she creates a treatment plan utilizing the least invasive therapies while also being sensitive to individual lifestyles and financial circumstances. Her knowledge and compassion serve to guide each patient on their individual journey to find success in wellness. To give back, Dr. Emy is active in global and community medicine with Naturopaths Without Borders in Phoenix, Mexico, Thailand and Haiti. On her days off, she enjoys traveling, going to live music events, as well as outdoor activities, such as hiking, golfing, and camping. She truly enjoys anytime spent out in nature. You can also find her at home with her boyfriend, working out, doing yoga, cooking and working towards her Doctorate in Chinese Medicine and Acupuncture. Dr. Jesika DiCampli is a Philadelphia native who received her bachelor’s degree in Interdisciplinary Health Services at St. Joseph’s University. 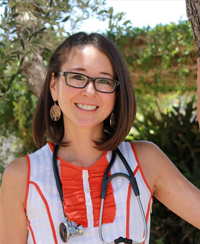 Her search for a holistic medical training program led her to Southwest College of Naturopathic Medicine and Health Sciences in Tempe, Arizona where she received her doctorate in Naturopathic medicine. Dr. DiCampli is a member of American Association of Naturopathic Physicians and the Arizona Naturopathic Medical Association. She is certified and licensed by the State of Arizona Naturopathic Physicians Medical Board. In practice, Dr. DiCampli not only provides holistic healthcare, but is also an educator for her patients providing guidance in specialty programs designed to improve health, achieve and maintain health goals, and reduce health risks. Her practice focuses on helping patients with fatigue, weight loss resistance, allergies, thyroid disease, and hormone imbalances. Dr. DiCampli practices family-style medicine, with pediatrics, women’s health, and prenatal care being her main areas of emphasis. She is a Certified Professional Midwife, who provides home birth midwifery services to women desiring a more natural birth model. Dr. DiCampli is available for brief meet and greets with expecting parents who are interested in a holistic approach to childbirth, prenatal services, or well child care. Denea is a Medical Assistant with an Associates Degree in Medical at College America. 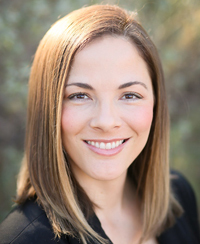 She has 6 years experience in the medical field ranging from phlebotomy to patient care and has been a part of Dr Tellier’s practice for over 3 years. She is wonderful with patients young and old and makes people feel very comfortable when they come to our office. Outside the office she stays busy with her fiancé and 4 children. Sarah Vanderheyden is originally from South Bend, IN (Go Irish!) and moved to Pheonix, AZ in November 2015. She has been working in the medical field since 2011 and has been managing for seven years. Sarah and her husband, Austin, recently celebrated their first wedding anniversary and love spending all of their free time with their rescue puppy, Charlotte. Asynia Morales was born and raised in Phoenix, AZ. She recently graduated from Pima Medical Institute for medical assisting. When she is not furthering her education in radiology, she loves spending time with her family and boyfriend. Shopping, dancing, and trying new places and having new adventures! Brandy was born and raised in Phoenix, AZ and attended Anthem College for medical assisting. She loves to spend time with her family and four children. In her free time she enjoys watching racing, playing softball, and enjoying the outdoors.